Ania received her Master’s Degree in Education while living in Warsaw, Poland. She became an elementary school teacher and began her training as a massage therapist. 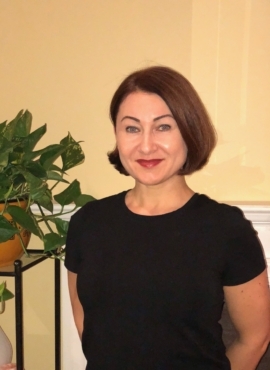 After moving to the United States, Ania decided to continue her education and received her National Certification in massage therapy and certification as a Master Esthetician from the Dermal Science International Aesthetic Academy. Ania combines Swedish, deep tissue and lymphatic drainage therapy to provide a fully customized experience for each of her customers. She also uses Reiki healing techniques with every service she provides. This unique approach to care ensures a relaxing and rejuvenating experience for her clients.